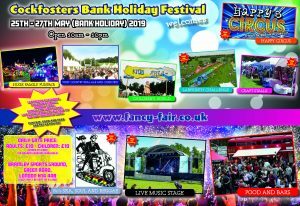 The Cockfosters festival promises to be the talk of North London next Bank Holiday May 25th26th 27th 2019 featuring a massive bank holiday weekend of SHOWSTOPPING attractions, music, and family fun. A massive installation of family and thrill rides covers the Amusement Park including the Children World of Attractions which will amaze and excite you just for the kids our lovely donkey rides straight off the beach. The amazing Labyrinth Challenge the largest inflatable assault course in the world will be taking on all comers for all 3 days of the festival. To quench your thirst there will be plenty of bars to choose from, if you are a bit peckish try out the many hot food stalls and with our shoppers’ market you can forget that usual dull shopping trip lots of retail goods and crafts on sale. Festival Day entrance tickets on the gate are just £10 for adults free for children under 5 yrs. All attractions are included in the admission price except for the Fairground . Local buses from Southgate / Cockfosters /Oakwood pass the door.